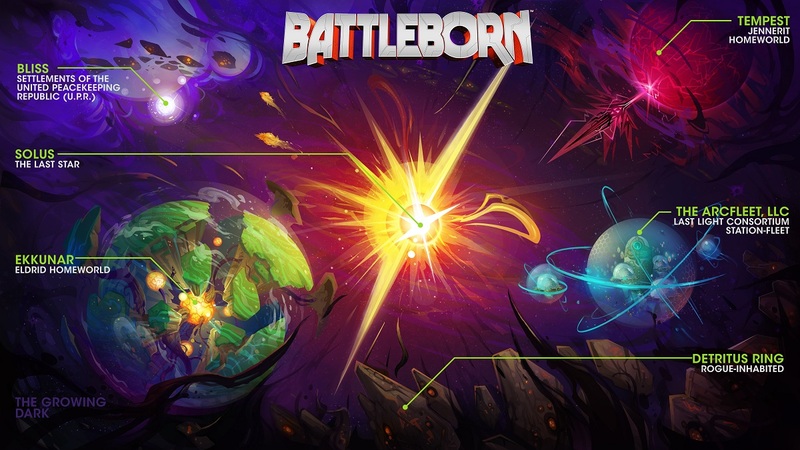 Last year Gearbox teased their new IP, Battleborn, a game that looked poised to potentially be some kind of FPS MOBA. Or, to put that another way, an "FPS; hobby-grade coop campaign; genre-blended, multi-mode competitive e-sports; meta-growth, choice epic". Yeah... We got a little more info on that "coop campaign" last fall and today, just prior to all of the E3 madness, Gearbox and 2K are pulling back a little more of the curtain. Perhaps the biggest detail from the latest announcement is that Battleborn is arriving this winter, so it turns out there will be some major game releases later this year after all. There's a slew of info about the various competitive modes as well in the announcement, but the key part for all of us co-op enthusiasts is that the game will support local co-op (two players) AND "combo co-op", i.e., a mix of local and online. Yay! That's enough to make me get a little stoked by the new trailer. Alright, so with that all out of the way, let's talk logistics. Though it was somewhat hinted at previously, there are a total of 25 playable heroes from which players can choose. Each hero has their own set of powers and weapons, and fall within one of five factions: the Peacekeepers, the Eldrid, the Rogues, the Last Light Consortium (LLC), and the Jennerit Empire. No indication as to whether or not these factions have any bearing on the co-op campaign, though from the gameplay video we saw previously, it appears heroes from different factions can team up. Speaking of the campaign, the story will take you through a variety of missions to fight off the evil that's causing all of the stars in the universe to "go dark" and save the last star, Solus. For each mission, your hero will start off at level one and can level all the way up to level 10, unlocking new abilities and powers along the way. Completing those missions will then contribute towards the hero's larger "Character Rank" and the player's own "Command Rank." The "Character Rank" will allow you to unlock new augments and abilities for a particular hero and then swap them out for existing ones within the hero's level system. This means that if there's a particular hero you like, you can tweak their leveling tree (called the "Helix System") to make them your own in story missions or in the competitive multiplayer matches. The "Command Rank" is more about bragging rights by unlocking badges/titles you can append to your player profile, though it's also hinted that there's some kind of loot that can be applied to heroes tied in with this as well. The "Meltdown" mode sounds kind of fun, but I know I'll be spending most of my time in the story. 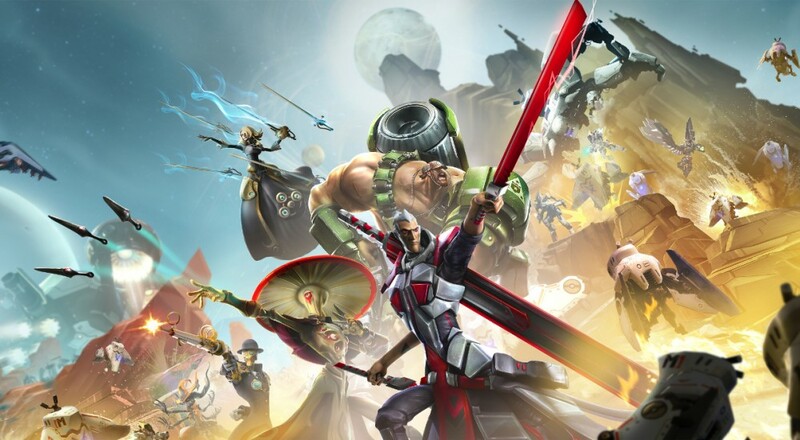 Battleborn will retail for $59.99 and gets released worldwide this winter. Page created in 0.2516 seconds.